If you are not part of an organisation on Figured and you wish to continue to have access to your farm(s) on Figured, you must update your personal billing information before the free trial expires. First you will need to log into the Figured. 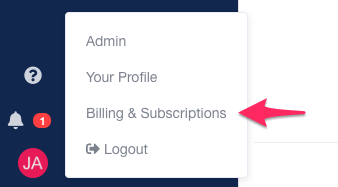 Click on the user drop down (your name) at the bottom left of the Figured app, and select Billing & subscriptions. 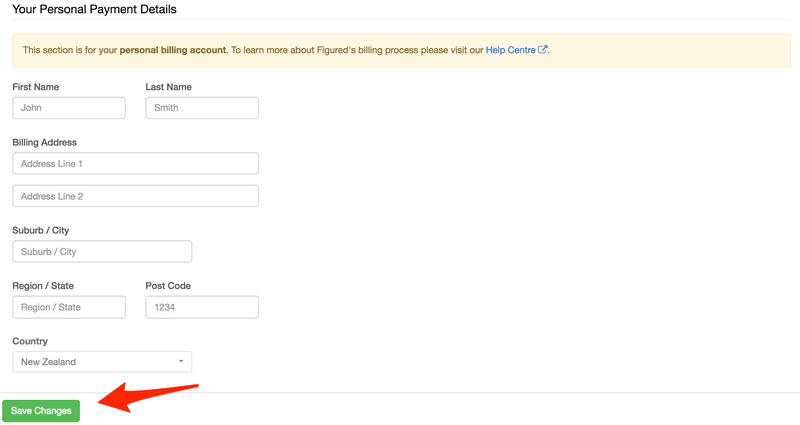 Complete Your personal payment details form, highlighted in the screenshot below. 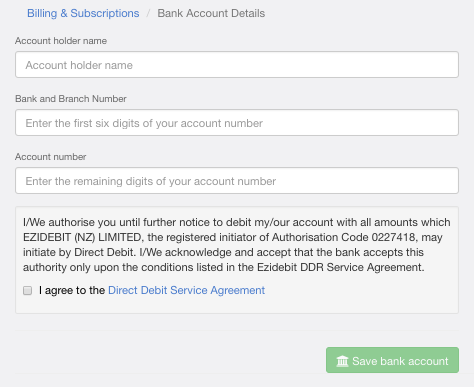 On the next page you can choose to setup either a Direct credit or Direct debit from your credit card or bank account. Proceed to enter your credit card or bank account details on the screen that follows. NOTE: Your credit card and bank account details are processed by the secure payment processor Ezidebit. Figured does not store or retain your credit card or bank account details as per the Figured terms and conditions (Section 1). You’ll receive an email to let you know your billing details have been accepted. You’ve now successfully set up your personal billing profile.